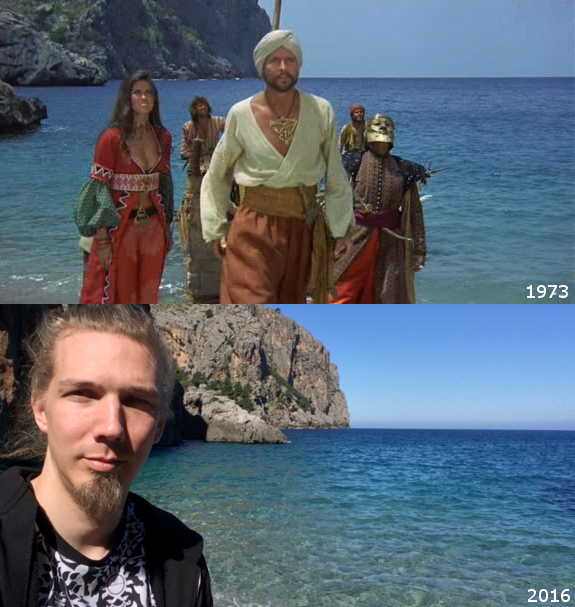 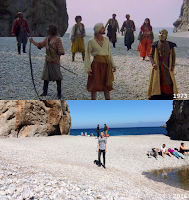 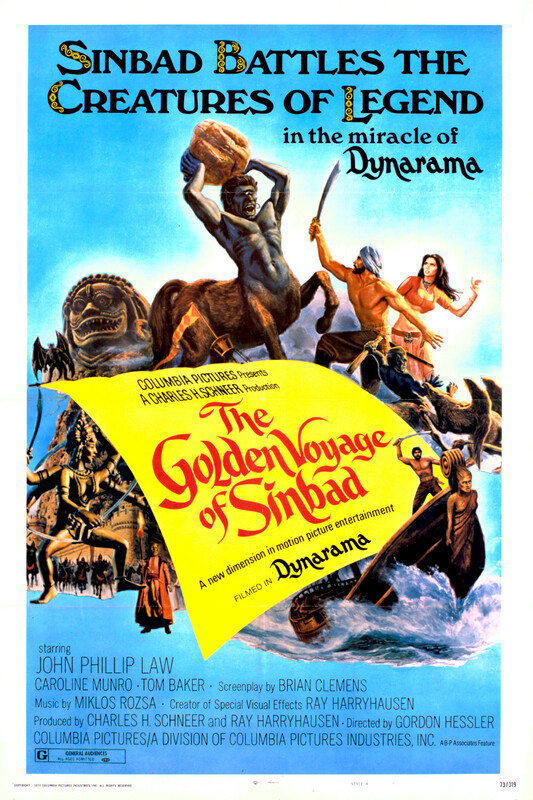 The Golden Voyage of Sinbad is a fantasy film in Dynarama released in 1973 and starring John Phillip Law as Sinbad. 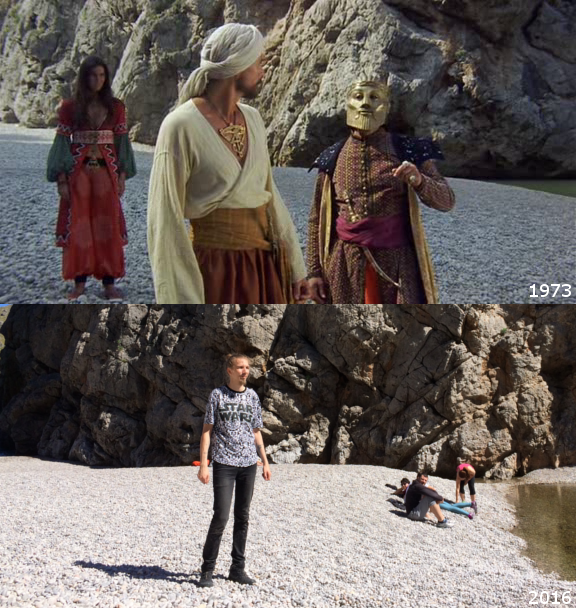 It includes a score by composer Miklós Rózsa and is known mostly for the stop motion effects by Ray Harryhausen. 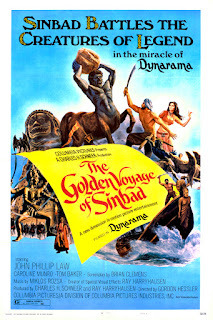 The film is the second of three Sinbad films that Harryhausen made for Columbia, the others being The 7th Voyage of Sinbad (1958) and Sinbad and the Eye of the Tiger (1977). 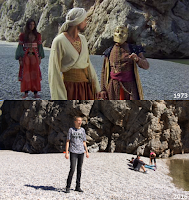 It won the first Saturn Award for Best Fantasy Film. 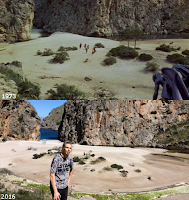 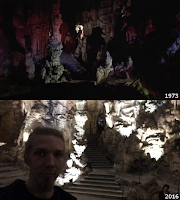 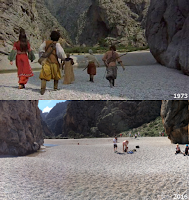 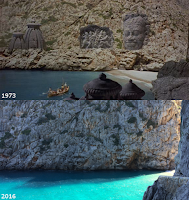 Producers Charles Schneer and Ray Harryhausen based their production in Spain (Madrid as well as the island of Majorca) to take advantage of the local rugged scenery. 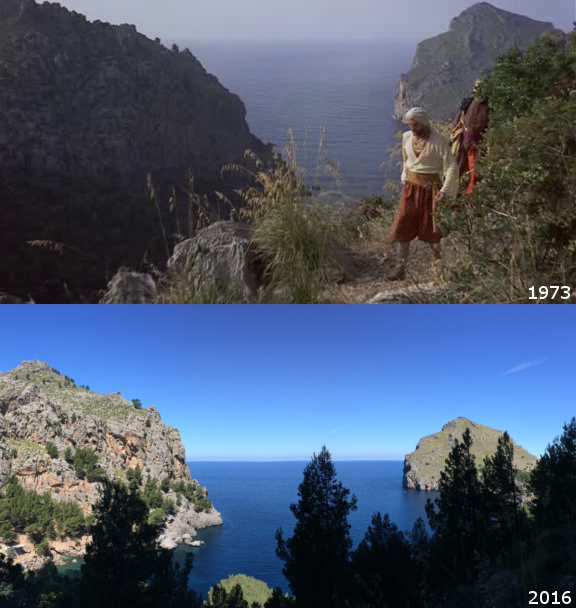 Cliff near Torrent de Pareis.